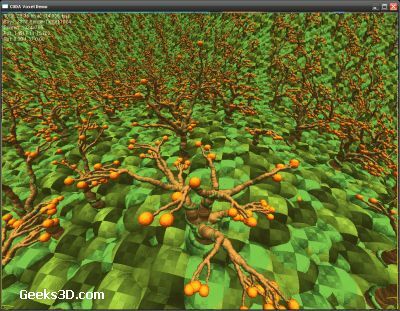 Here is a new project that uses CUDA for graphics rendering: CUDA Voxel Rendering Engine. The rendering is based on Voxlap algorithm. The algorithm used basically works by raycasting the complete scene in planes which are prependicular to the horizontal plane. It’s possibe to have complex scenes rendered at about 20-30 fps on a 8800 GTS. 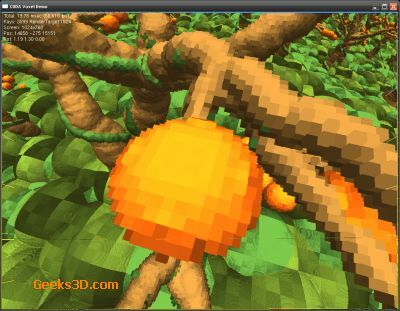 You can grab the demo here: VoxelDemos.v2.zip (50Mb). Let’s hope this demo is not the dead end.